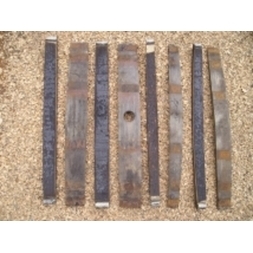 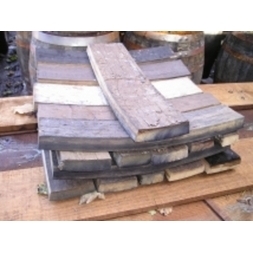 We supply a range of recycled oak barrel staves in various sizes, flat oak barrel ends /heads and barrel hoop iron all suitable for up cycling into craft products. 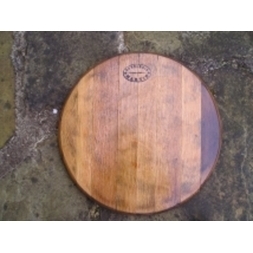 Flat oak barrel ends / heads make attractive wall decor for pubs and bars whether in their original state or after being sign written. 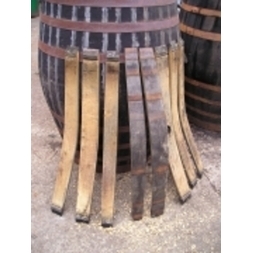 Flat barrel ends may be plain or stencilled with the distiller's name. 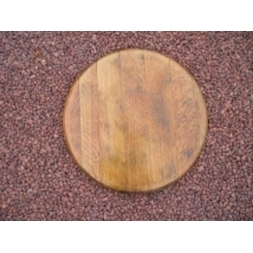 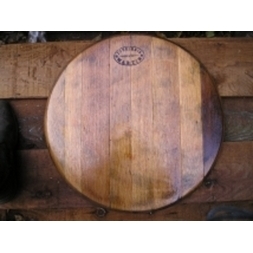 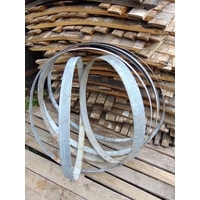 These ends are approxiamatly 23" (57.5cm) in diameter and are sold in packs of five.